Preparation in the form of an evacuation plan can prevent injury, property damage and confusion during an emergency. 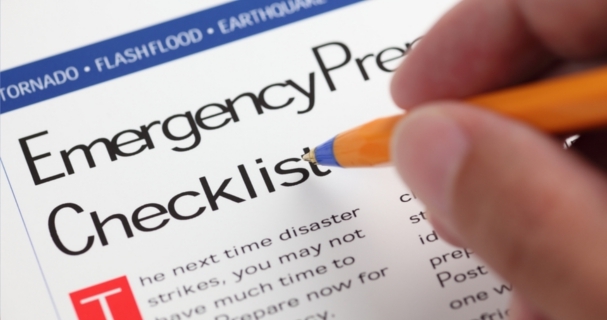 Evacuation plans can be kept in writing and always available for the home’s occupants to review. Updating the plan every six months at the dinner table will keep everyone informed about where to go when the time comes. They can also be verbal, depending on your family makeup (young children). Sign up for the CODE RED Community Notification System to receive valuable emergency text information before and during emergencies. Know what reasons evacuations might take place in the surrounding area, and begin to prepare for these. Start with a list of reasons your family might have to evacuate. Determining what might require an evacuation is obvious in many cases: fire, avalanche, mudslide, severe winter storm, earthquakes and floods are often mentioned. Toxic chemical leaks or civil disturbances or other types of emergencies managed by local authorities are also cause for evacuation. The American Red Cross offers courses on preparing and getting trained for evacuation and emergencies. County Emergency Management has information on classes that may be offered locally. Planning evacuations from a home or building require a clean path and understanding of the exits throughout the structure. Place signs to mark all exits and pathways and create a map using a building floor plan to identify safe ways from the structure. Post the maps for quick review and reference. The need to evacuate can happen in a matter of minutes. Stop now and decide what will be needed: area maps, personal records, phone numbers and precious photos. Spend time gathering these items together in a central location so they can be reached for quickly. The Department of Homeland Security recommends writing down a list of high priority items that would be important to leave with if you only have 10 minutes to evacuate. Make plans for your pets and livestock; include a leash and other supplies for your pet in your emergency preparedness kit. Even with careful planning, separation from loved ones is a possibility. Choose a meeting place away from the area, depending upon each possible scenario. For instance, a chemical leak may send everyone south, but a bad storm could send evacuations west. Select a spot away from the problem area for each type of emergency. Make plans for keeping in touch with friends and family. Label your primary emergency contact number (e.g. spouse, parents) as ICE in your cell phone. ICE stands for “in case of emergency”. This way, emergency responders can find the number quickly if necessary. Choose a friend or relative who resides out-of-state and make sure family members know that person’s phone number. You can call that number to let friends and family members know where you are. For more information and preparedness checklists for your family or business, visit Ready.gov. San Miguel County of Colorado encourages all of their citizens and visitors to San Miguel County to make personal preparedness a priority. Historically, rural and mountain culture prizes self-sufficiency as a core value, and when it comes to preparedness we encourage it. Work to assemble a preparedness kit for your home and vehicle. Include things like shelf stable food, water, flashlights, batteries and alternative power sources such as phone charging banks. You may also find it valuable to keep warm clothing, waterproof layers and an extra pair of comfortable shoes in your vehicle kit as well. Below you will find links to preparedness resources. San Miguel County also encourages you to visit Ready.gov for more valuable emergency and disaster information and resources such as Personal Preparedness Kits, Pet Preparedness and Business Preparedness.